Damascus: Syrian Kurds are pursuing talks with the government in Damascus to protect their territory from attack by Turkey, one possible consequence of President Donald Trump’s decision to pull US troops from the country. Kurds were the most important ground forces in the American-led coalition against Daesh in Syria, taking heavy casualties and eventually gaining control of about one-third of the country. But their prospects of holding onto it took a blow when Trump announced that the US would withdraw. Turkey has strongly opposed the US alliance with Ahmad’s Kurdish group, which it sees as the Syrian branch of a terrorist organisation that’s been fighting for autonomy from Ankara. Turkey is keen to move into parts of northeast Syria when the US departs, and the two Nato allies have discussed setting up a “safe zone” to protect Turkey’s borders. Trump shocked even those in his inner circle by yielding to a suggestion from Erdogan, during a Dec. 14 telephone conversation between the two leaders, to reverse the Pentagon’s Syrian strategy by pulling out US forces. 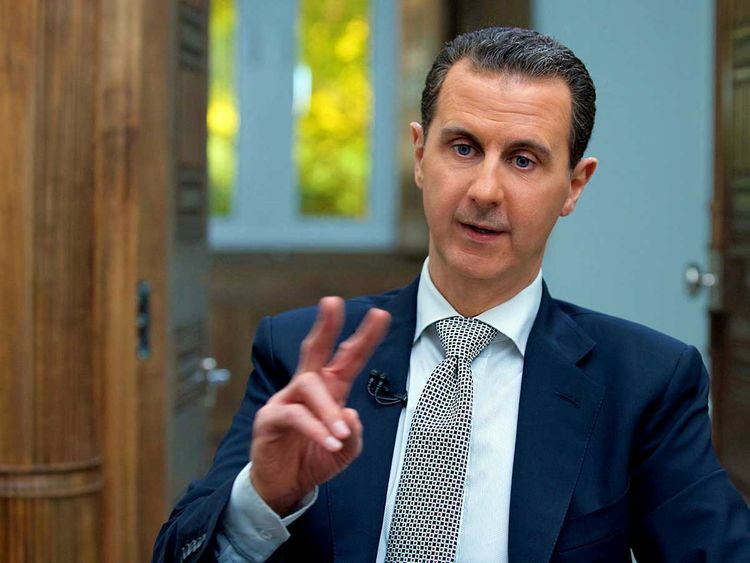 Trump’s critics have warned that his abrupt decision would enable the Assad-Russia-Iran alliance to complete its victory in the eight-year civil war, which has killed half a million people and turned millions more into refugees. Defence Secretary Jim Mattis resigned over the withdrawal plan, and other officials have pushed back, creating confusion over the timetable for withdrawal. In Ankara last weekend, Republican Senator Lindsey Graham of South Carolina, a prominent Trump ally and influential voice on foreign policy, said the US should slow down its planned exit to make sure Iran doesn’t emerge as the biggest winner. Ahmad said she’s in Washington “to hear assurances and explain our point of view.” She said what she’s heard from the Americans suggests that they “aren’t going to put a deadline for the withdrawal yet.” And she warned that if the Kurds are left out of any Syrian settlement, there could be “another wave of violence.” The Americans, she said, should be trying to help achieve a political solution to the conflict between Turkey and the Kurds as well as to the daunting question of Syria’s future. While he backs the idea of a safe zone in which Turkey would be involved, Trump has acknowledged the risks for his Kurdish allies. In a January 13 tweet, the president threatened to “devastate Turkey economically” if Erdogan’s armed forces attack the Kurdish fighters who helped drive Daesh out of 99 per cent of the territory it once held.